Posted December 12, 2013 by Tom Gilmore, The Tuam Herald in News. As the ever expanding Lackagh National School prepare to host its concert The Night Before Christmas this Friday December 13th, the school is also basking in its success in seeing pupil enrolment having increased by 140% over the last ten years. The Department of Education has recognised the need for a new building and have appointed a design team to oversee architectural planning for a new eight-teacher school with ancillary rooms and general purpose room. The project is expected to go to planning permission stage in 2014. “Music is part of the fabric of the school community with a long tradition of success at both Fleadh Ceoil and Scór na nÓg competitions under the expert guidance of music teacher Sacra Furey. “The school band won the Connacht Fleadh Ceoil final in 2012 and 2013. We also have Sharon Connell, concertina, Anna Falkenau, fiddle, Angela Fahy, tin whistle and fiddle, and Padraic Carr, drums coming into school every week to teach music. Our hard working Parents Association has purchased flutes, fiddles, concertinas and banjos for the children to use during those lessons,” says Principal Michael Lydon. Since he was appointed in 2006 Michael has watched the school grow and grow and he says this is due in no small way to everybody being so co-operative: pupils, parents, staff and the wider community as well. Turloughmore has long been at the forefront of hurling in County Galway and the school is currently producing a crop of fine young hurlers but the pupils are also successful in many other sports as well. “We had great sporting success in hurling and football competitions in the last three years. We contested six Cumann na mBunscoil county finals in that period. Our boys’ Cross Country team recently won a County Junior schools cross country event,” says the principal. 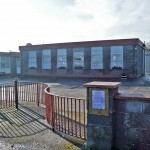 Children from second to sixth go for swimming lessons to Tuam and Leisureland each year. Pupils have been very successful in the Credit Union quizzes and INTO handwriting competitions and there are regular traditional and modern dance classes in the school for all pupils. Lackagh NS received its second green flag last year and the school garden is a great hit with all the pupils and parents. 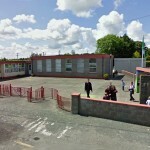 “We are currently preparing for our annual Christmas Concert on this Friday December with the junior infant nativity play the highlight of the event,” says the Principal, as he is surrounded by children rehearsing in Santa, reindeer and elf outfits as well as other characters from popular children’s TV programmes all about to be given a Lackagh slant on stage. The Christmas show will be in the nearby Lackagh Church which is an ideal venue for such a festive production. It plays a big part in the classroom activities and the school has high speed broadband, digital cameras and power point systems which are used for projects and presentations. The school takes part in the Galway Science Festival every year with Knex engineering and Lego projects. “We have a very supportive Parents Association who are instrumental in providing learning opportunities for the children. They raised €5,000 over the past two years which was used to purchase library books, maths resources and musical instruments” says the principal. He added that while academic excellence is the main aim of the school it is also pleased of its reputation in providing such a broad range of extra-curricular activities. “We are very lucky to have a young and committed staff, as well as a supportive Board of Management and parent community and this excellent relationship allows for a great working atmosphere among teachers and pupils in the school,” concluded the principal of this rapidly expanding school.